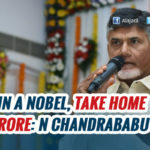 It’s one of the rare times when Andhra Pradesh Chief Minister Chandrababu Naidu was extremely happy and gave out a statement ‘It’s an unforgettable day in my life’. Earlier today, while speaking to media, the CM expressed his gratitude to Central government for declaring initial phase of NABARD funds to the prestigious Polavaram project. Finance Minister Arun Jaitley released Rs. 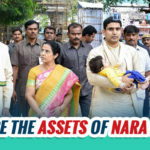 1981.54 crore of funding through the National Bank for Agricultural and Rural Development for Andhra Pradesh’s Rs 16,000 crore Polavaram irrigation project along the Godavari river on Monday and noted that this should put to rest the sense of distrust the people of the State had developed towards the Central government. After a meeting at Indian Habitat Centre in New Delhi, Babu addressed press wherein he sounded very delightful about the initial funds sanctioned by union. Once the project gets finished, Andhra Pradesh will be a drought-free state with adequate water for Rayalaseema, Prakasham and Nellore districts, said the TDP chief. Besides thanking everyone responsible for making the day special for Andhra Pradesh people, Babu is confident that water will flow by gravity to left and right canals in 2018 and he exuded confidence about the completion of project in 2019 as intended earlier. 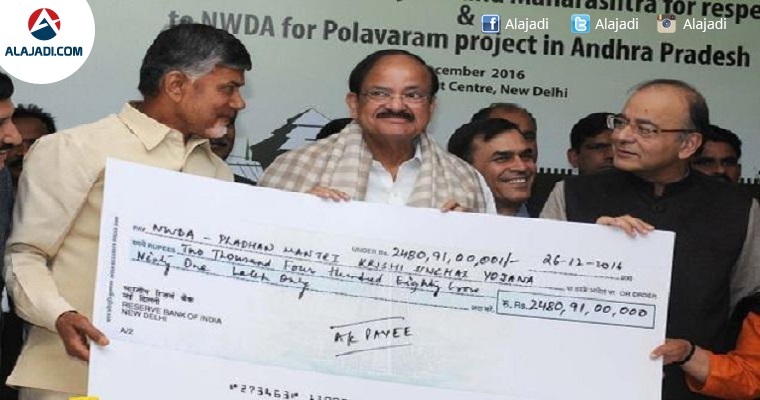 The CM shared on his Twitter page, Today is a happy day for people of Andhra Pradesh as our Govt has received cheque of Rs.1,982cr from NABARD. Having reeling under the wraps for several decades, Polavaram has been the biggest debate in Telugu speaking state for many years, apart from playing a key role in elections. Babu, who visited Delhi, has received a cheque for Rs 1981 Crore from Union Minister of Water resources, Uma Bharati. During bifurcation, Polavaram was announced as the National Project. NDA Government promised 100% sanction of funds to Polavaram as part of Special Package. AP Chief Minister is determined to complete the project before 2019 polls.